Quick recap: After Ashitaka is attacked by a demon, he goes in search of a cure. While on his journey, he becomes involved with a war between the animals of the forest and a mining town. Is it too much to ask for a two hour movie with just these guys? Fun (?) 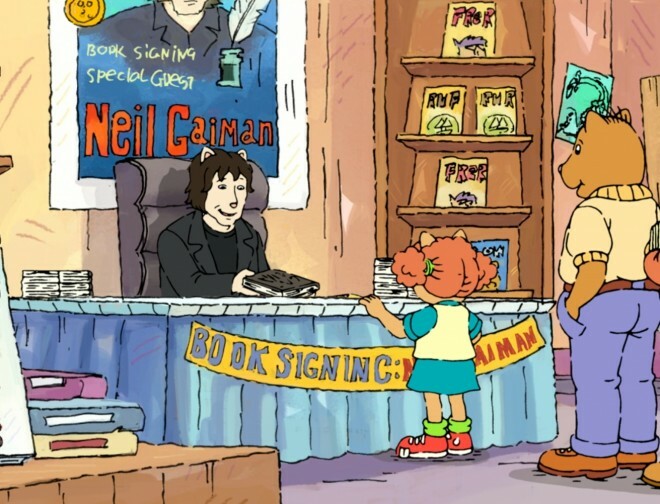 fact: This is probably common knowledge, but Neil Gaiman was the one to adapt the dialogue so that English speakers could better understand what was going on. Is there anything that guy can’t do? My thoughts: I had no idea what to expect going into this since my knowledge of anime is about as stereotypically American as you can get (translation- I’ve seen Cowboy Bebop and parts of Inuyasha thanks to late night Adult Swim). That’s not to say I have anything against the genre. There is just so much to choose from that I wouldn’t know where to begin. 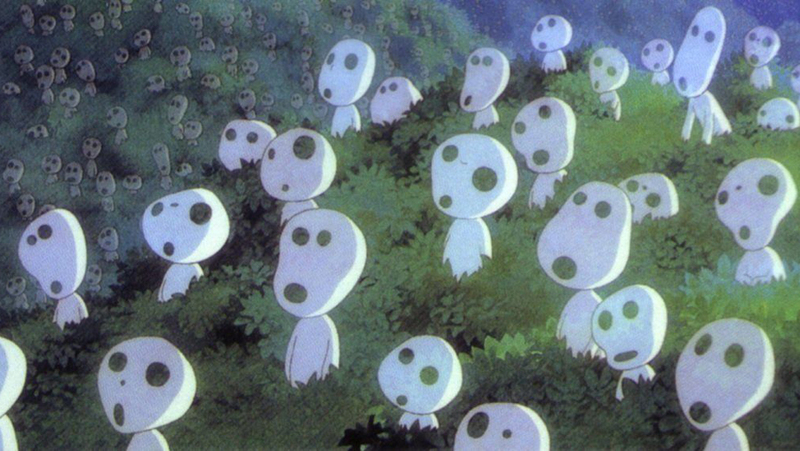 I’m not sure Princess Mononoke was a good starting point but that’s not because it was a bad movie. First, let me admit that as much as I tried, I kept being reminded of FernGully, even though the two aren’t that similar. I guess it was the battle between nature versus industry that led me down that path, although-side note- FernGully doesn’t hold up after all these years. I watched it a couple of years ago and it brought back some great nostalgia but that’s about it. Princess Mononoke is leaps and bounds much more complex than that movie and I would venture to say more complex than most animated films. I was really impressed with how much the film required me to concentrate and didn’t just tell me how I was supposed to feel. My thoughts toward the characters changed with each scene and even at the end, I wasn’t sure how I felt. I won’t give away the ending but I will say that if you are looking for a feel good film for the entire family, this ain’t it. also not kid appropriate because of this scene. Pictured is a big fat NOPE. My one complaint, and I’m not even sure it is one, is that I felt like some of the movie was lost in translation. I understand that there are words in the Japanese language that are almost impossible to translate but the dialogue just seemed so simple compared to the plot I tried to follow. Is there a version I could watch with subtitles? I’m not even sure that would fix anything. The American voices also threw me off more than I expected (Billy Bob Thornton? Really?) and they didn’t seem to fit at all with the characters. I guess I was hoping for something a little more authentic to the original and not so Disneyfied. Final review: 4/5. The animation alone is worth the score and is one of the most beautiful movies I have ever seen but the theme also impressed me. I feel like I would need to watch it again to really understand what was going on.